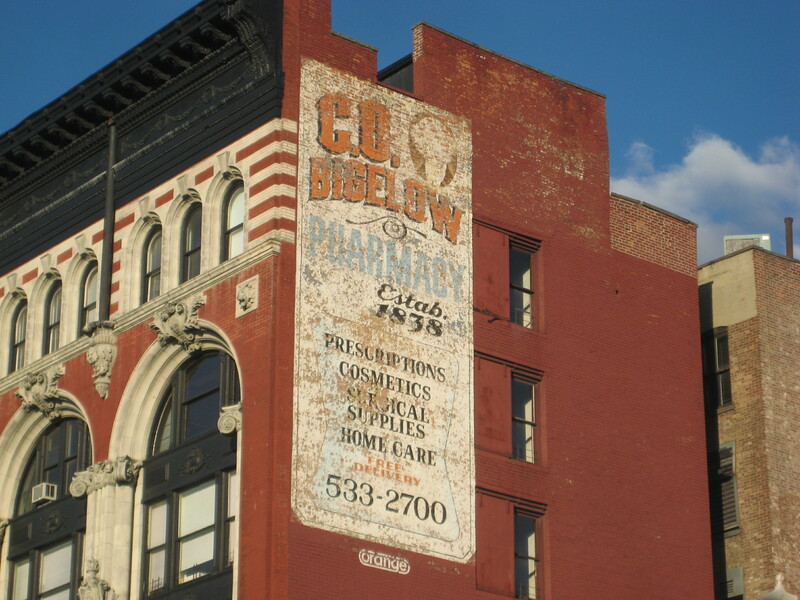 I have no idea when this advertisement for Bigelow’s Pharmacy first went up on the side of the Sixth Avenue store’s building at Ninth Street. But I’m glad that it’s still in pretty good shape. Bigelow’s has been in business since Martin Van Buren was president, and its famous customer list includes Thomas Edison, Mark Twain, and Eleanor Roosevelt. “The business of C. O. Bigelow, Inc., retail drug prescriptions, is one of the oldest of its kind in the world. Its activity extends all over the world and includes the filling of orders from such distant places as India and Africa,” a New York Times real estate article explained in 1937. The soda fountain is gone, but the cool old store sign is still out front. Inside are original wooden cabinets and old-timey chandeliers with gas jets. 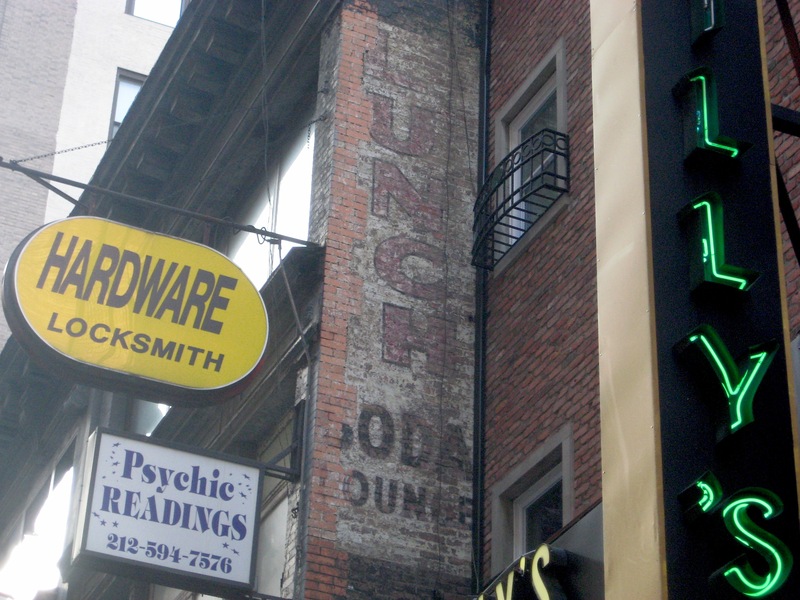 “Lunch Soda Lounge” reads this ghostly old signage on 35th Street between Fifth and Sixth Avenues. I imagine the place had a long, skinny luncheonette counter and metal swiveling seats. Beef? Beer? 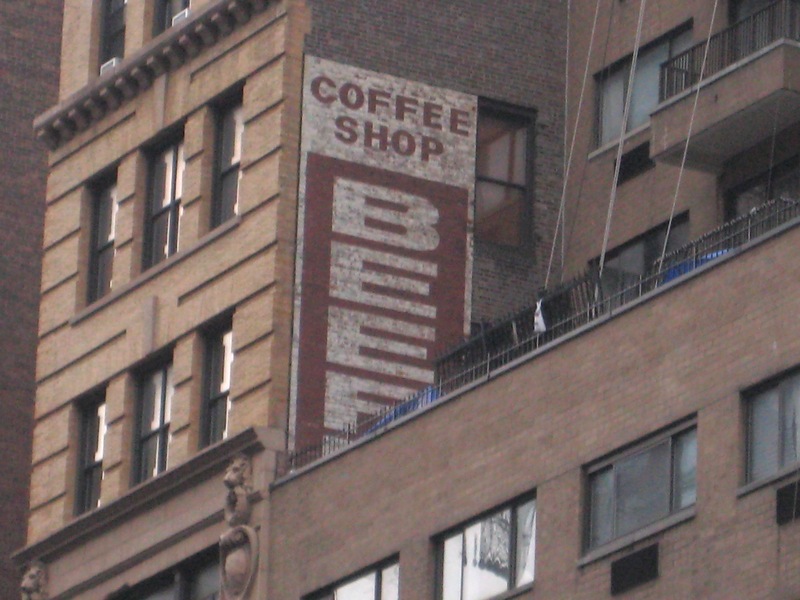 I’m not sure what the vertical word is under this coffee shop ad on East 23rd Street, nor do I have any idea when it dates to. “Coffee Shop” itself is a lost term. It’s too anonymous, not descriptive and unique enough for today’s specialty coffee culture. 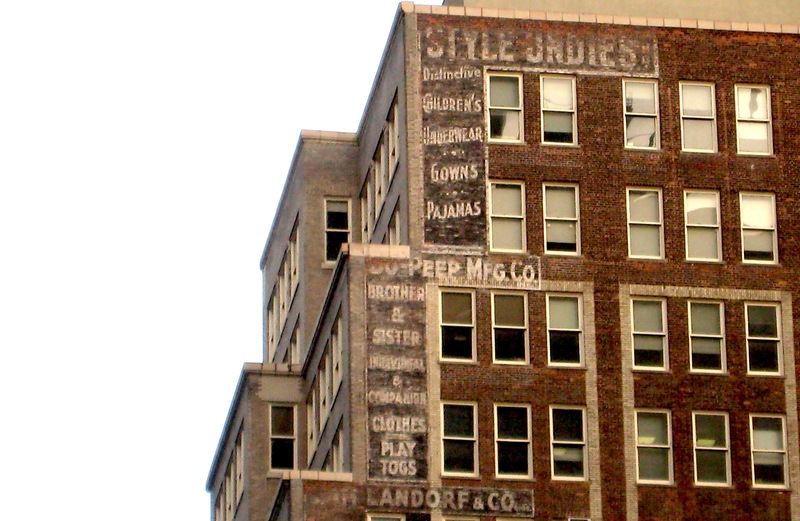 “Students Clothes” the first line of this ad reads, from the side of a turn of the century building on East 12th Street near University Place. The letters below it are much harder to make out. Something & Co. It’s a reminder that the Village used to be full of manufacturers. This is all that remains of a furniture ad in the Gramercy-Murray Hill neighborhood. “Room Furniture” I think it says. 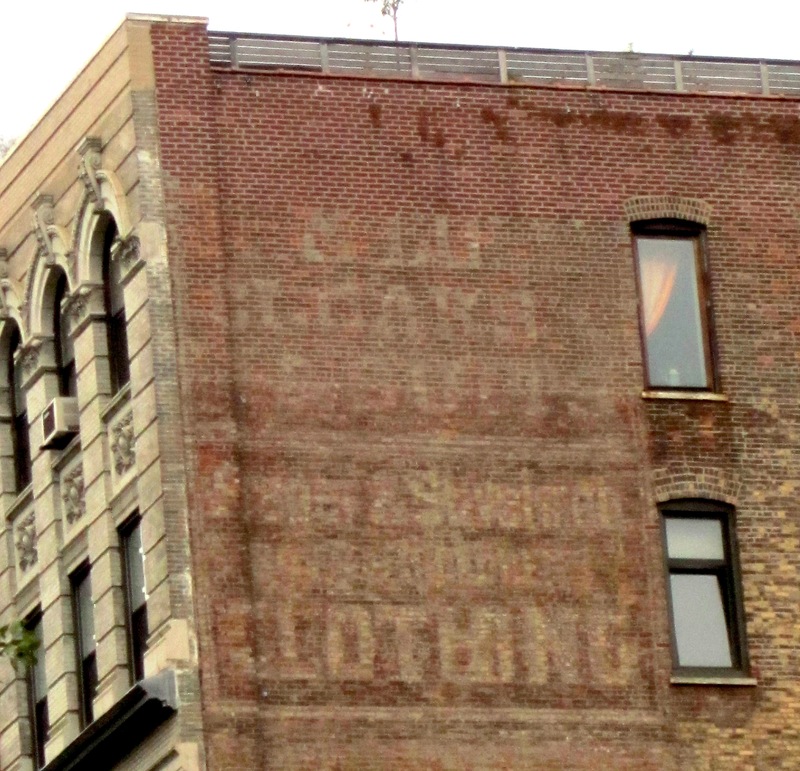 “Cloaks & Suits” is all I can make out at the top of this ad, from the side of an Astor Place building. Then the name of the manufacturer, two S words connected by an ampersand. What a wonderful and ghostly reminder that 100 years ago, women routinely wore cloaks! 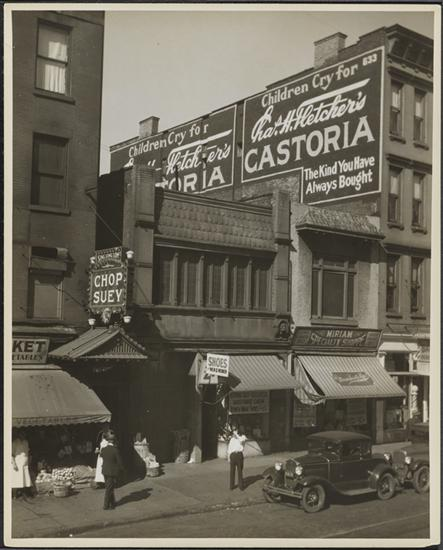 I’ve probably walked down 11th Street in the East Village a million times without seeing this ad for Knickerbocker Boarding on a parking garage. This goes back to when horses were New York’s main mode of transportation. Over on the West Side is this one for Umberto Brothers Storage. Looks like it says “record storage.” Records like LPs, or where school files and government documents go to die? 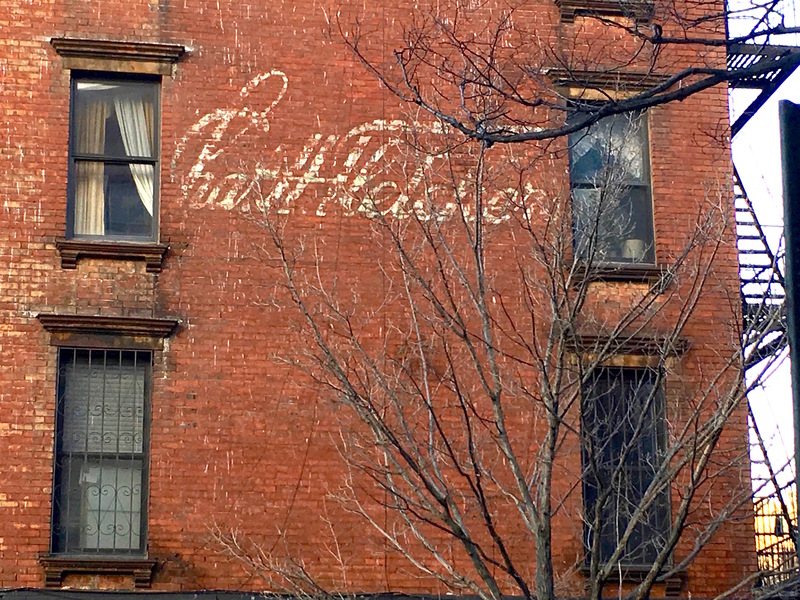 “Upholstery” says this supremely faded ad on a 14th Street building, visible from Sixth Avenue and 13th Street. The rest is too faded to make out. Once upon a time, there must have been an upholsterer on the block. 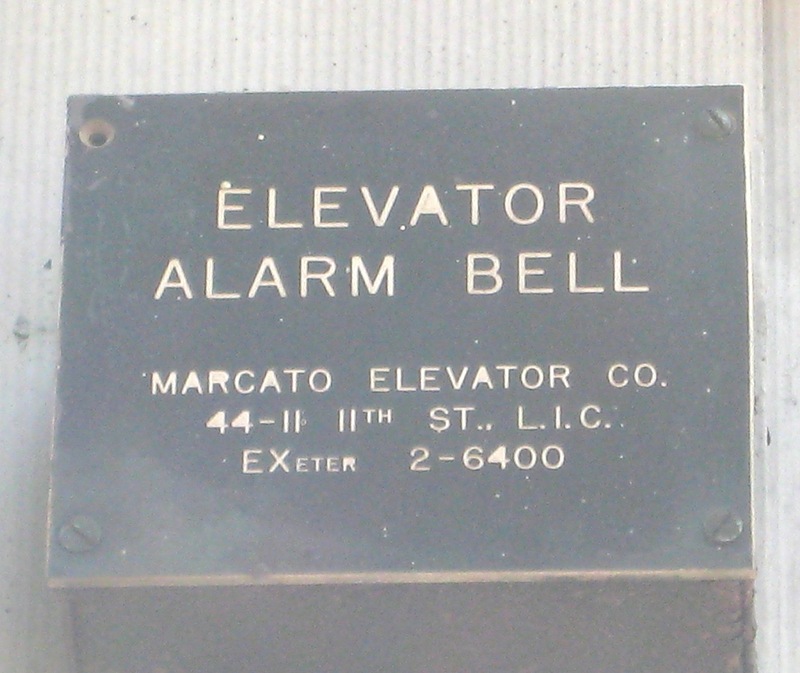 It’s a little worrisome that so many elevator alarm bells list a phone number with a pre-1960s exchange. Will someone really answer the call? 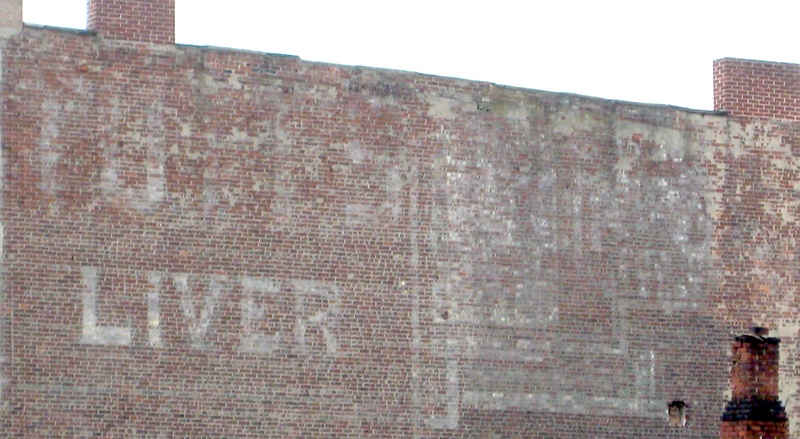 Exeter was a Long Island City exchange—from a warehouse building in Chelsea. 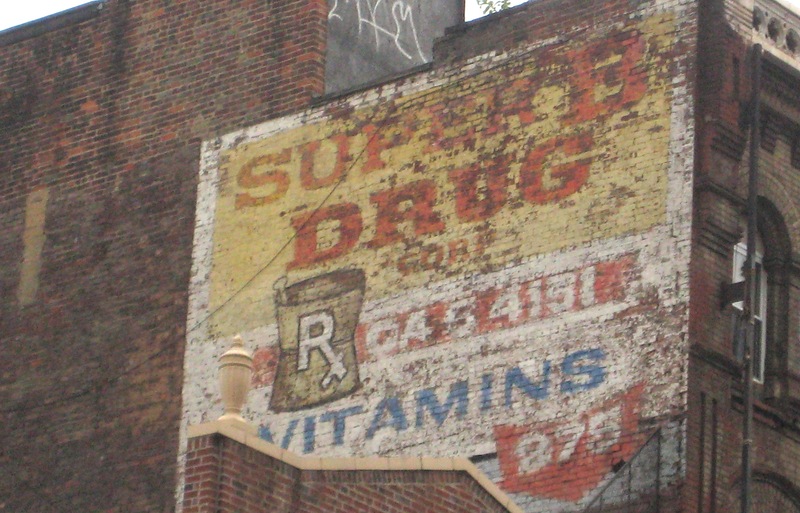 I couldn’t find any listing for Super B Drug, but luckily this colorful sign survives on Canal Street near Broadway. The CA exchange—CAnal, of course. 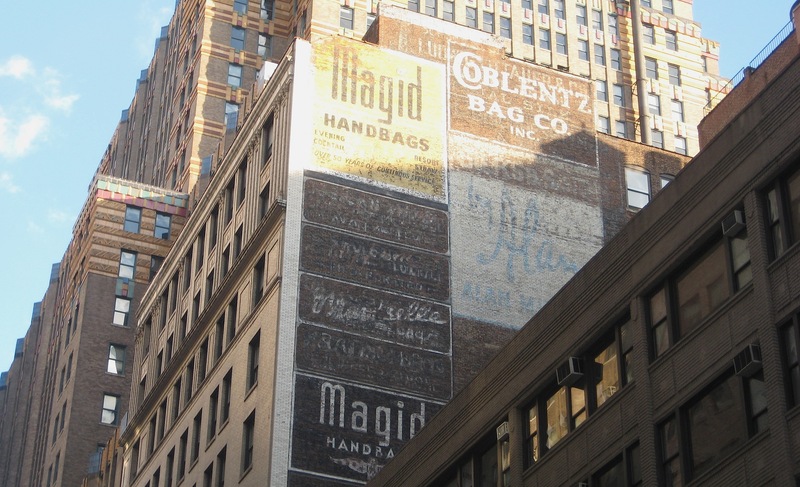 One of the best concentrations of faded ads is in the Garment District, where clothing and accessories companies once—perhaps still—manufacture dresses, coats, belts, and other industry staples. 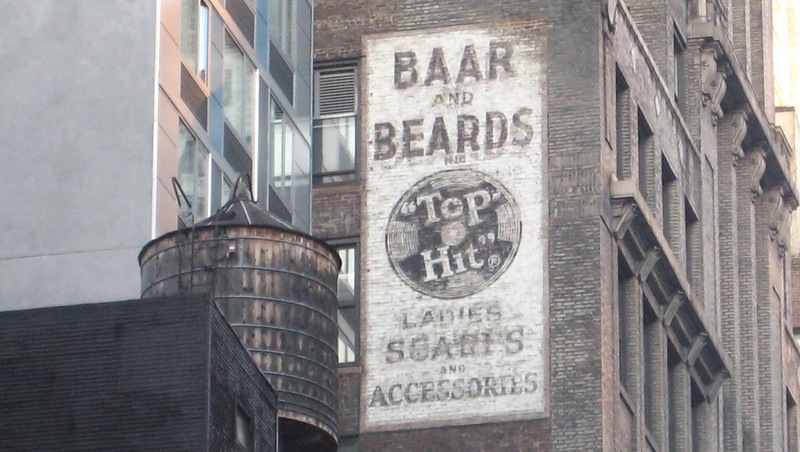 I love the 1960s-ish 45-single logo on this ad, for Baar and Beards accessories is on 37th Street. It’s close to their headquarters at 350 Fifth Avenue. 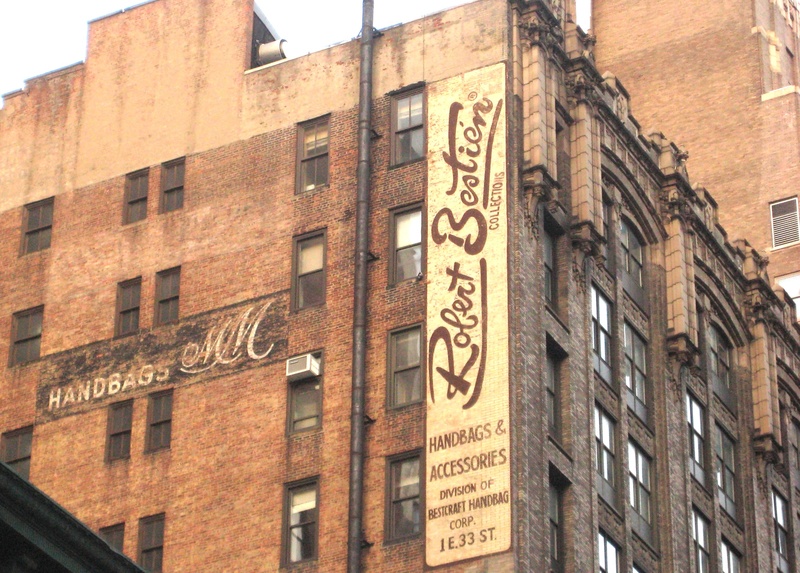 Vintage Robert Bestian handbags are for sale all over the internet, but other than that, there’s not much information this brand out there. The ad is on 33rd Street. Does this really say “Style Undies” above a list of children’s clothes words like pajamas and play togs? 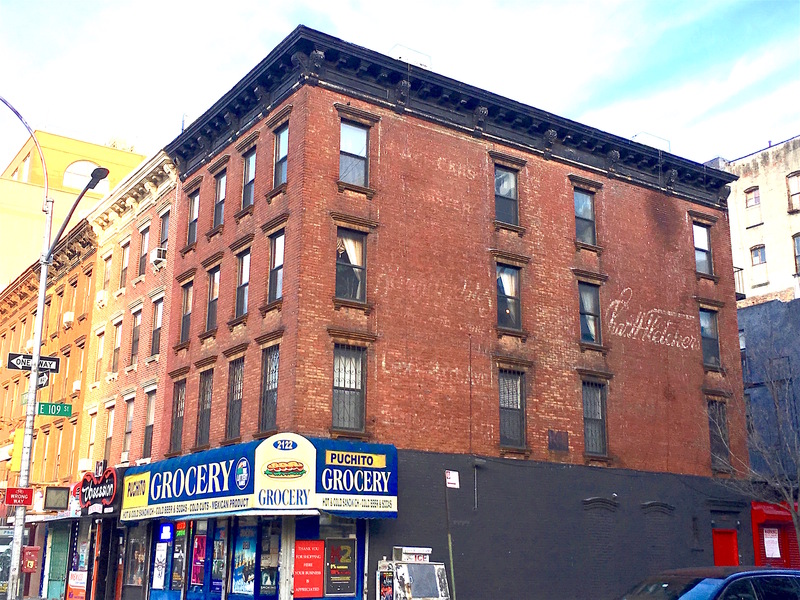 Up in East Harlem is this puzzling ad. Liver: a butcher shop? Cod liver oil? Livery stables? Another mystery. If you sign up for a package tour to one of the following exotic destinations by sea or by air. 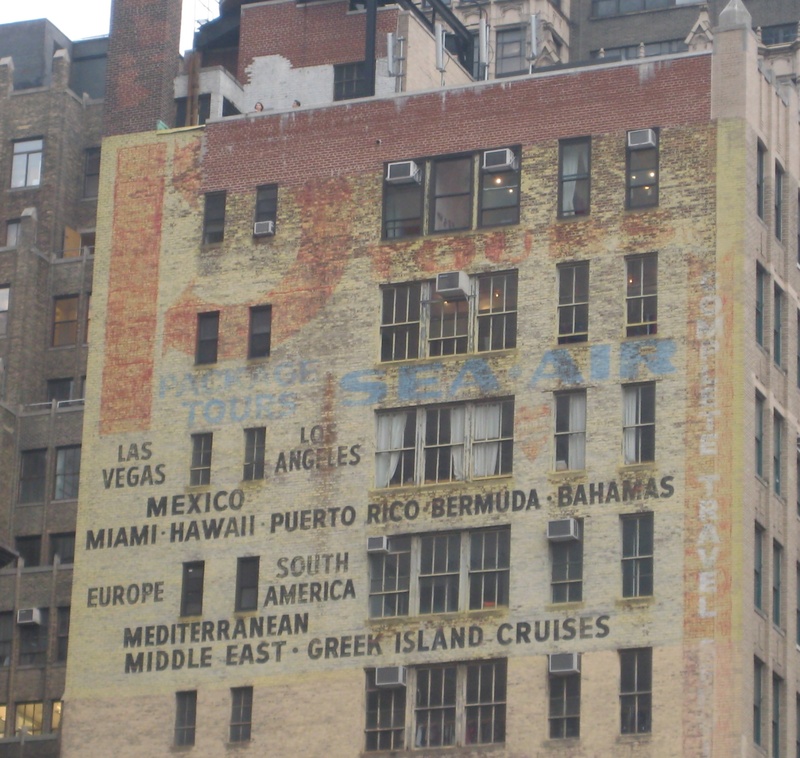 Las Vegas, Puerto Rico, South America—all put together by a travel company whose name is so faint on the right edge of this building ad, I can’t quite make it out. 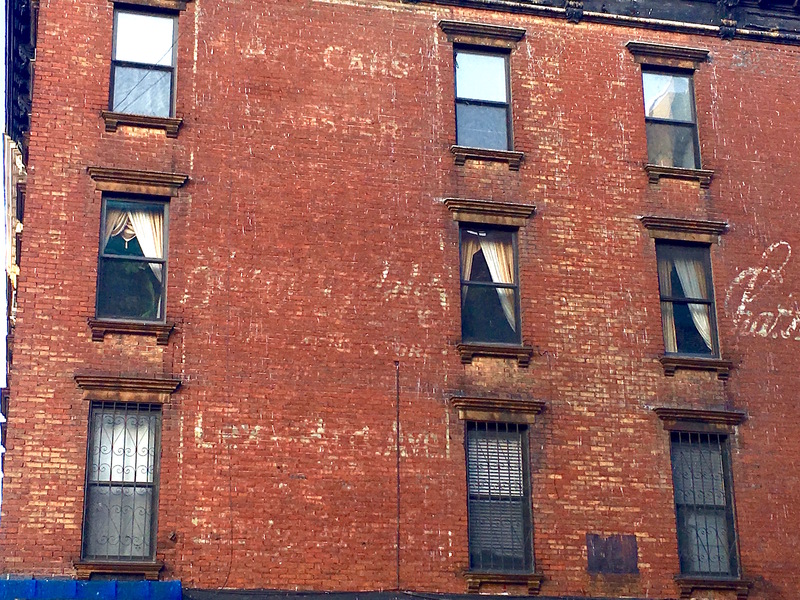 This ad is holding up rather well on Eighth Avenue and 39th Street, tempting passersby for decades.